One of the most gorgeous driving landscapes in the United States is the Overseas Highway route between Miami and Key West. The road was originally build on the bridges that were left over from the Overseas Railroad that was destroyed by a major hurricane in 1935. Since then, the state of Florida has rebuilt much of the road turning many of the iconic structures into fishing piers. 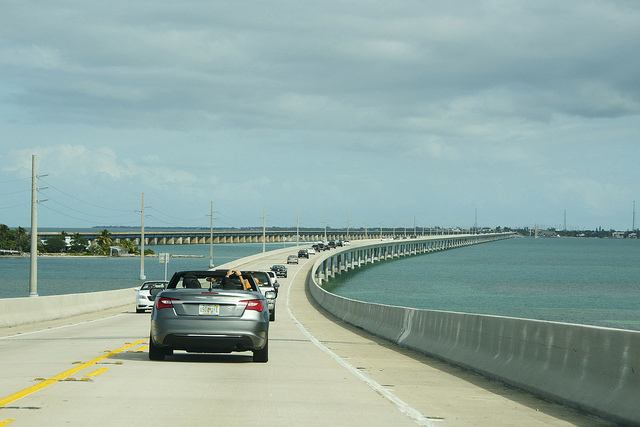 The highway hops between the various keys that lie between Miami and Key West helping the driver feel as though he or she is actually driving on top of the ocean. When planning out one’s drive on this iconic roadway, take the time to plan out the drive around the tourist seas can save a significant amount of time being stuck in traffic.